Online shopping on the Belgian eBay? Here’s an easy guide for making your purchases with local and global shipping on eBay in Belgium — English in 2019! The e-commerce giant and auctioning portal eBay is very popular in Belgium. And they have their own localized version at eBay.be, however the main benefit of this site is that it supports a native, French and Dutch interface. Mostly eBay is used for searching sellers and items, either within Europe or globally with shipping to Belgium. Or even shop from Belgium. Step 2. Start by doing a regular search of any item. Step 3. You’ll see a quick location selection menu on the left. Use it to narrow down current and future searches to the European continent. The site will automatically detect your location, calculate shipping costs when you are in Belgium. As well as display items that support global shipping. And of course, when you are within the EU there are no import duties or fees! Step 2. Right next to the search button, click on the “Advanced” link. Step 3. Go down on that page until the “Location” settings. Step 4. Select “Belgium” from the drop-down list of countries. And you can do the same search option for nearby countries too, like Netherlands, France, United Kingdom (UK), Germany, etc. Not forgetting that eBay is also a great place to sell or auction items of all kinds on the Belgian consumer market. All with the convenience of an English language interface and familiar selling portal to bridge the language gap. Check out the Global Shipping Program which is available for international sellers on how to sell on eBay in Belgium, Europe and beyond. It’s also possible to use the localized eBay.be site version in English. However, this requires the use of automatic website translation software. Namely, I can recommend Google Chrome for this job which has the feature ready installed. On Chrome, it should automatically ask you if to translate websites that are in a language other than the default language of your operating system. Be warned however, using the above linked English version is recommended as not all parts of the site get properly translated. The main interface, registration, checkout, etc. work fine but product descriptions are in an iframe which should be opened in a new window or manually copy/pasted to Google Translate for example. Is there ebay in Belgium? There certainly is, eBay.be started in 2001, serving the Flemish and French community of Belgium. 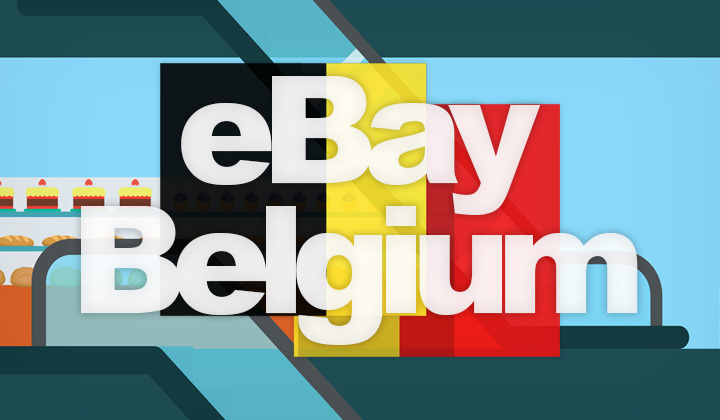 Nearly all Belgians shop online, and with the lack of a good equivalent for reliable global and broad-scale auctioning, eBay remains significant shopping portal in the country, alongside the big brands in Europe. All comments welcome about the Belgium site from eBay. Or questions how to use the Belgian eBay in English? If you benefitted from this article, please share on social media. Thank you for stopping by, David. Also worth mentioning that the posts on my blog are occasionally infiltrated with harmless affiliate links, for promotion, support and useful links for the site.